Cadillac ATS-V Could Use A 500 HP Turbo V6 Shared With... Alfa Romeo? 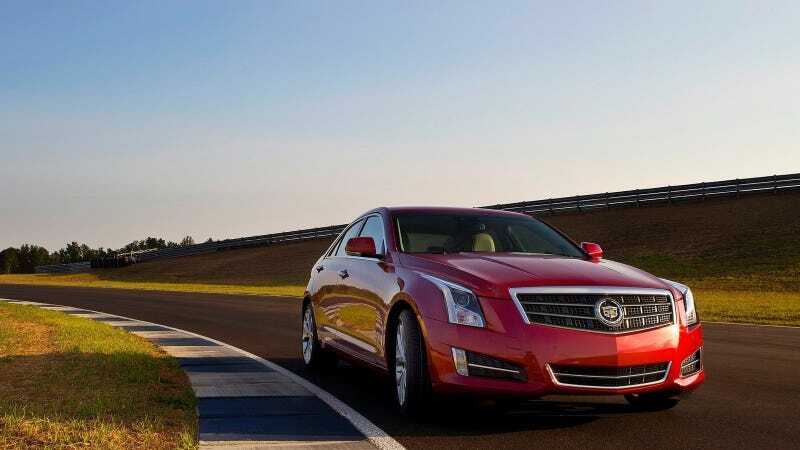 Since the Cadillac ATS is one of the best luxury sport sedans on the market, I'm confident that its upcoming hotted-up ATS-V version will be a real world-beater. That car's specs remain a mystery, but a new rumor says it could have an engine used by an unlikely bunch — Alfa Romeo. Say whaaaat? Actually, it's a General Motors engine, but it's seen quite a bit of duty in Alfa's cars, and now it could head the ATS-V with two turbos and more than 500 horsepower. Let me explain. Automobile has the scoop on the rumor, which says the ATS-V could use a twin-turbo 3.2-liter V6 rather than a turbocharged or supercharged version of the 3.6-liter V6 already in the ATS. That 3.2-liter motor was built by Holden in Australia for small crossovers, and it is from the same High Feature family of DOHC V6 engines as the 3.6. But that 3.2 engine's architecture was also sold to Alfa Romeo, who modified it heavily and used it as the 3.2 JTS engine in the 159, Brera and Spider. If this 3.2-liter V6 does end up in the ATS-V, Automobile says it will likely use GM-developed forced induction and direct injection, so it will hardly be some copy of the Alfa engine. Still, if this rumor proves true, it will be kind of funny considering Fiat's ownership of Chrysler these days. An Australian engine, last seen in Italian cars, now coming to an American sport sedan. Isn't globalization fun, kids? The truly exciting news is the just over 500 horsepower they claim in that story. If that's true, the ATS-V will have quite a bit more oomph than the 424 horsepower BMW M3 and M4, likely its chief competitor. The ATS-V is probably going to be great. Get excited.